IP65, internally illuminated single sided exit luminaire suitable for a maximum viewing distance of 36 metres, sealed against the ingress of dust and moisture and suitable for exterior and interior applications. This range of luminaires should be used in any wet or dirty environment. 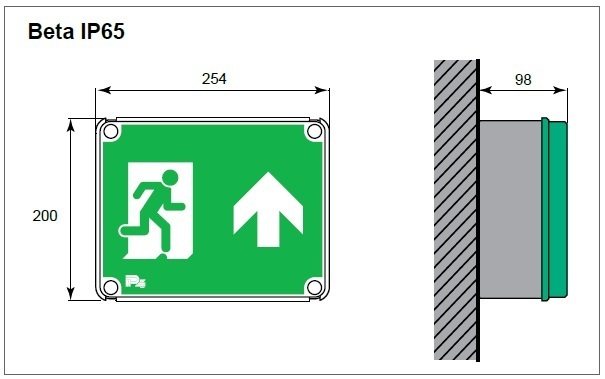 Flame retardant, injection moulded enclosure with grey back box and clear polycarbonate front cover to provide emergency escape signs suitable for a viewing distance of up to 36m. (230V±10% ac 50/60Hz*/50v ac/dc*/110v ac/dc*) input. Emergency lighting versions to have rechargeable battery for three hours emergency duration with six year warranty and incorporate fully automatic, self testing facility and status indication through single, multifunction dual-colour LED indicator. 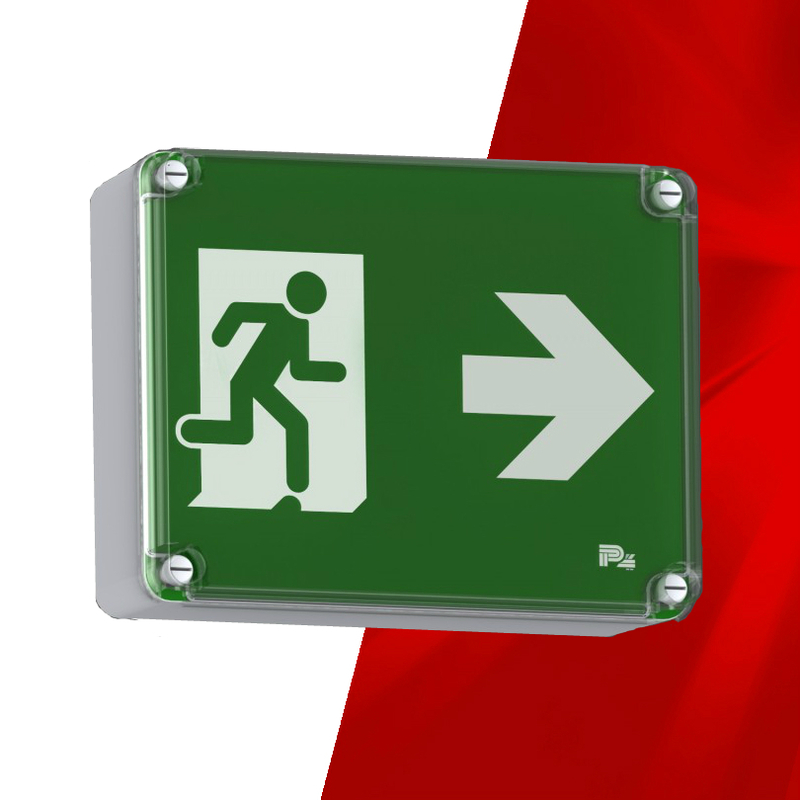 All emergency lighting versions to be (FASTEL stand alone*/FASTELink*).